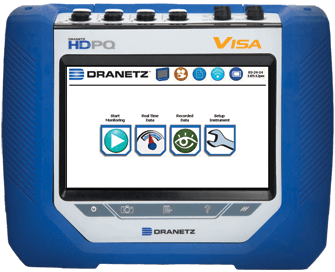 Dranetz HDPQ Visa & HDPQ Visa SP – Precision. Mini-Report – Screen snapshots, XML file. Easily uploaded and emailed! Automatic Setups – Start monitoring in seconds! Mini-Report – Take screen snapshots that can be uploaded to your computer and included in reports, attached to emails, etc.